Heart failure patients who felt socially isolated were much more likely to die or be hospitalized than more socially connected patients. Screening heart failure patients for social isolation could help identify those at risk of poor outcomes. 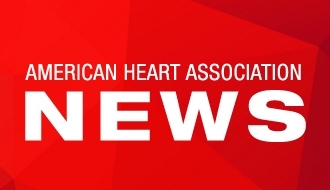 DALLAS, May 23, 2018 — Patients with heart failure who felt socially isolated were much more likely to die or be hospitalized than more socially connected patients, according to new research in Journal of the American Heart Association, the Open Access Journal of the American Heart Association/American Stroke Association. More than 6 million U.S. adults are estimated to have heart failure and that number continues to rise. In an earlier study, these researchers found that social isolation may increase the risk of depression and anxiety. However, little is known about the possible connection between patients’ feelings of social isolation, risk of death and use of medical care. In this study, researchers surveyed 1,681 patients (average age 73, mostly white, 53 percent men) about their sense of loneliness or isolation. All the patients – residents of 11 counties in southeastern Minnesota – had been diagnosed with heart failure between January 2013 and March 2015. 1.6 times higher risk of emergency department visits. This study may not apply to other populations, as it lacks racial and geographic diversity. There was also limited follow-up and patients who felt less socially isolated may have been more likely to respond. Co-authors are Sheila M. Manemann, M.P.H. ; Alanna M. Chamberlain, Ph.D.; Véronique L. Roger, M.D., M.P.H. ; Joan M. Griffin, Ph.D.; Cynthia M. Boyd, M.D., M.P.H. ; Thomas K. M. Cudjoe, M.D., M.P.H. ; Daniel Jensen, M.P.H. ; Susan A. Weston, M.S. ; Matteo Fabbri, M.D. ; and Ruoxiang Jiang, B.S. Author disclosures are on the manuscript. The National Heart, Lung and Blood Institute and the Patient Centered Outcomes Research Institute funded the study, which was made possible by the Rochester Epidemiology Project from the National Institute on Aging. After May 23, view the manuscript online.